Well, it’s been two weeks since Brett and I got back from Florida so it’s probably time to start writing about our trip! We had a great time relaxing and enjoying time off from school together. The week we were gone was my only week off from school. As soon as we got back I started school again. So it was a much needed break from school and life! 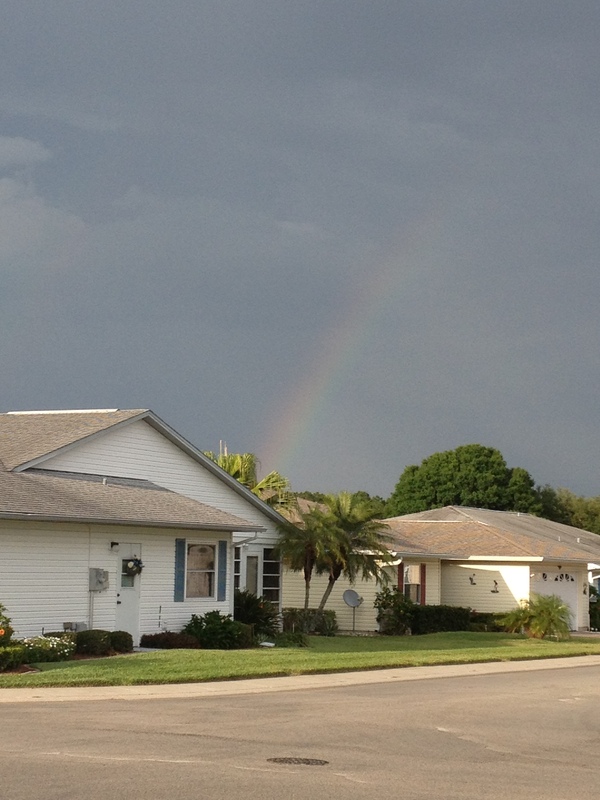 We flew down Monday afternoon and arrived in Florida around 7 pm. 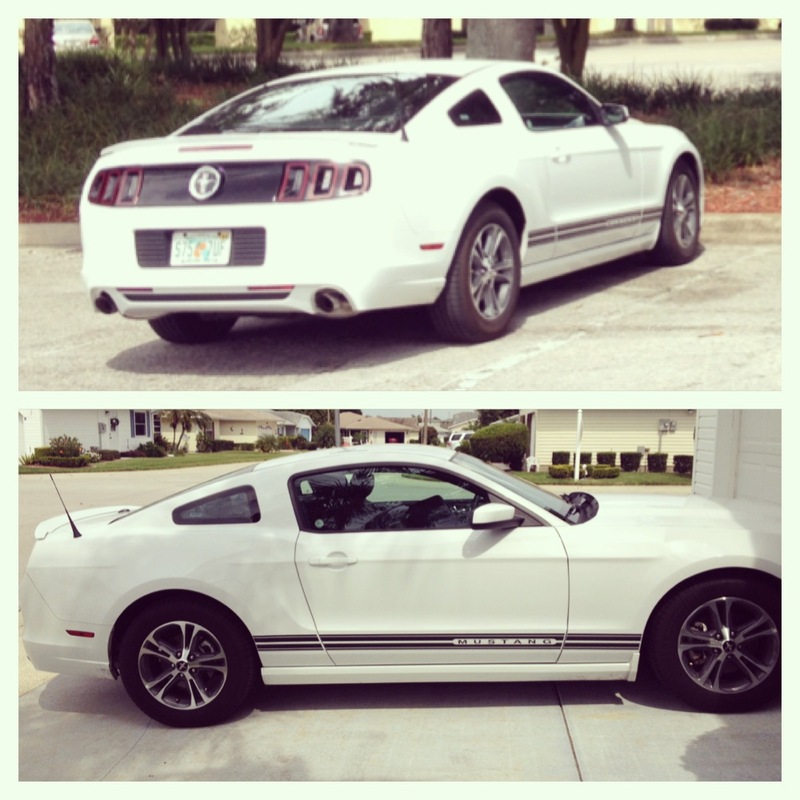 Our car rental company surprised us with an upgrade to a 2014 Mustang! We were so surprised and excited so thanks so much rental company! After we got our car we had to drive from Tampa to Lakeland which is only about a 45 minute car ride. However, traffic was terrible and it ended up taking us about 2 hours to get to Brett’s grandparents’ house. And of course once we got there we had a ton of catching up to do (even though I was exhausted and falling asleep on the couch). Day one in Florida we slept in and then went exploring. And by exploring I mean shopping! J Brett loves taking me shopping (not really). He’s a trooper though! We were only gone for a couple of hours and by the time we got back it was already time for dinner. On our first night in Florida Brett’s grandma always makes a huge pot roast feast for us! It’s one of the things I always look forward to about going to his grandparents. 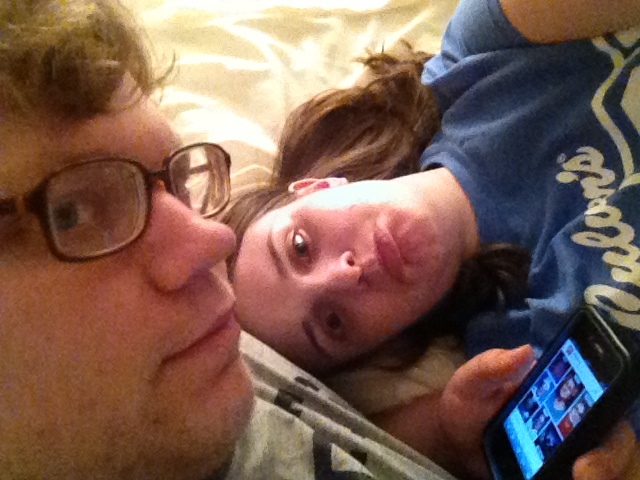 After dinner we watched American Idol and Dancing with the Stars. Day two we went to SeaWorld! It was so cute and fun even though it rained almost all day. We weren’t able to ride any rides or see the killer whale show which was super disappointing. 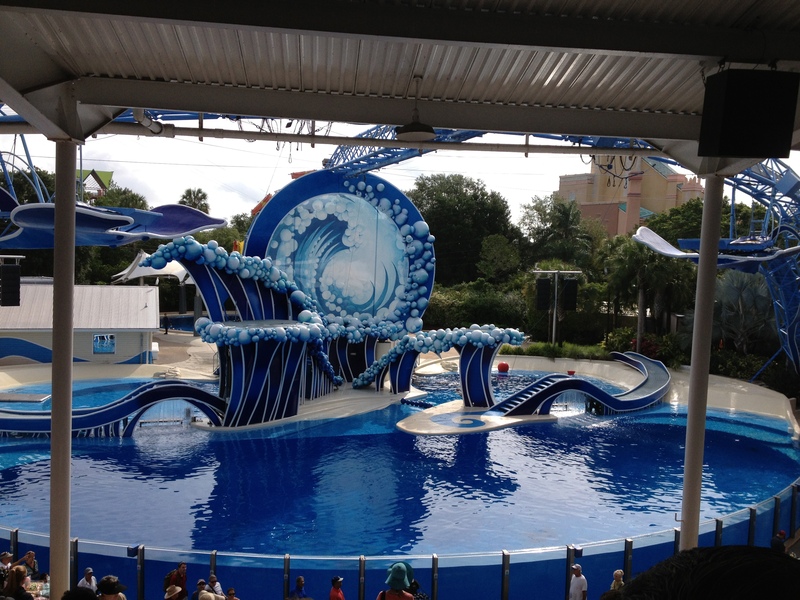 It was my very first time going to SeaWorld Orlando (I went to the one that used to be in Ohio when I was 5). I thought it was really fun and I had a great time seeing all the animals with Brett. We have so much fun hanging out together; he really is my best friend! 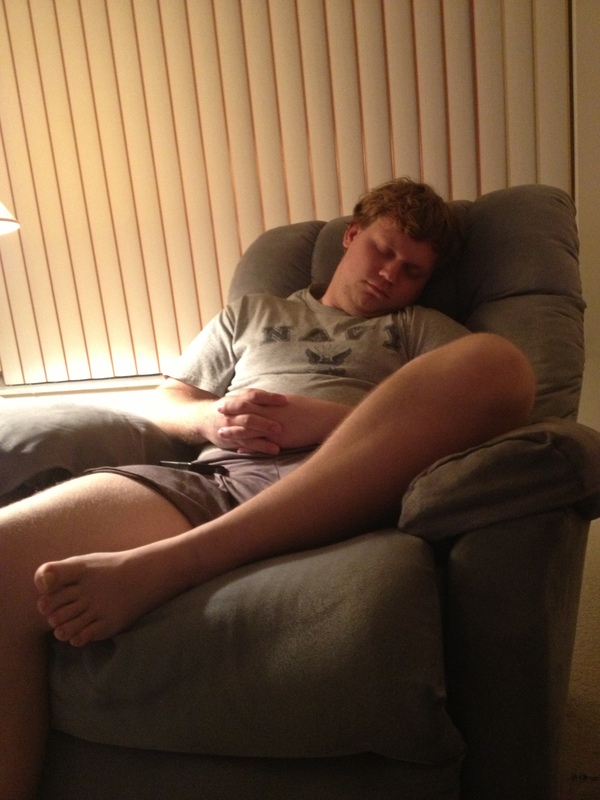 Sleeping Brett! He’s so cute! 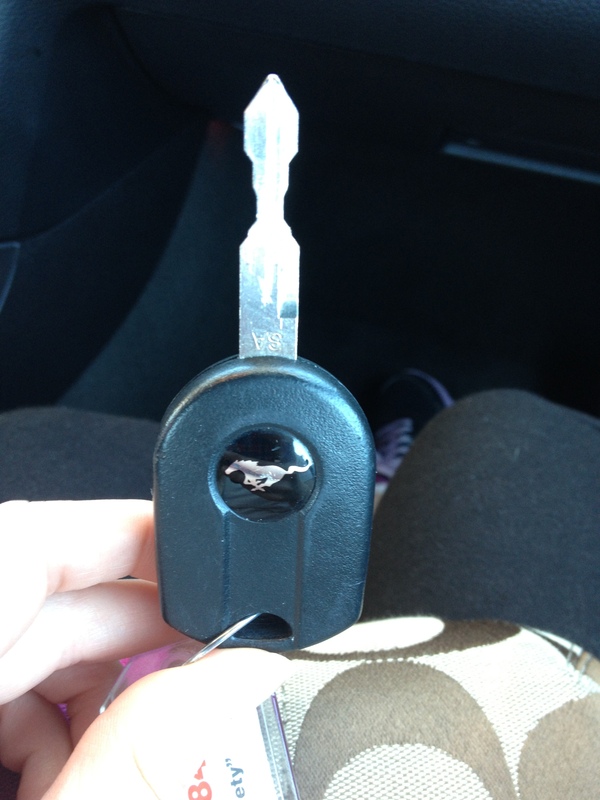 Day three was spent searching for our lost car keys….. Don’t ask. 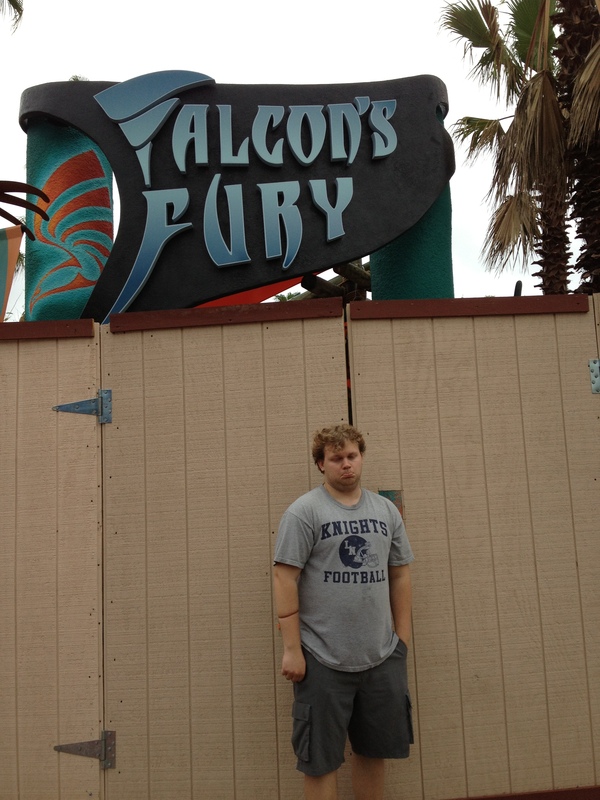 So day four we went to Busch Gardens Orlando…..which ended up being closed because of flooding. They originally delayed opening until 2 pm so we went to Golden Corral to eat. Then we drove back to Busch Gardens only to find out that they decided to close for the day. Brett was so sad and I was pretty upset because we had wasted a whole day waiting for the park to open! It rained so much that morning that the park was completely flooded and they couldn’t get rid of all the water! So instead we went to the outlet mall for two hours and then headed home for a homemade dinner with the grandparents. 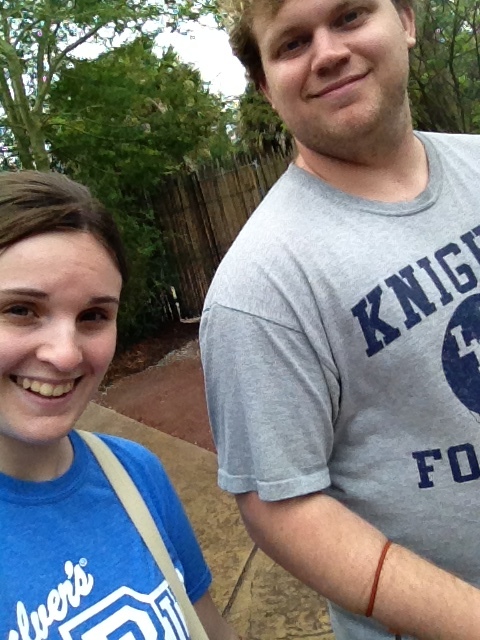 Finally on day five we made it to Busch Gardens! We had so much fun going to all the exhibits and riding the rides! The park is huge which really surprised me! 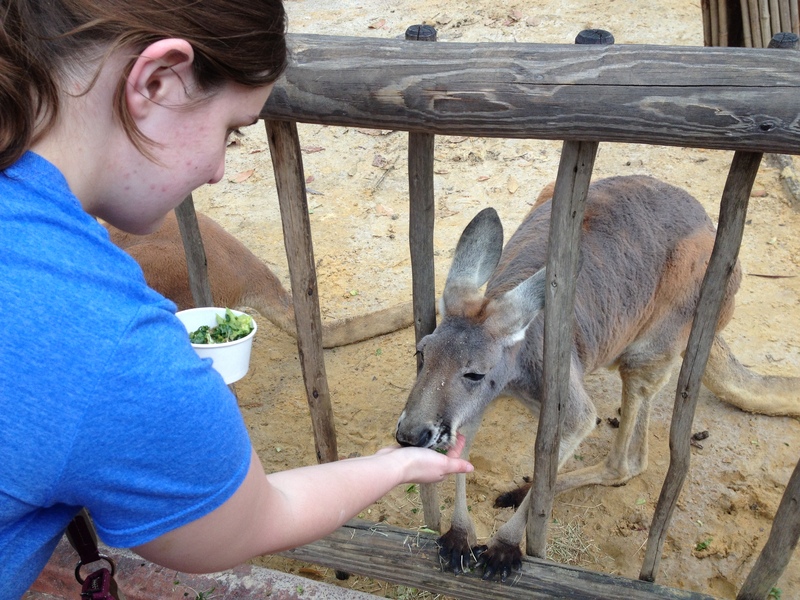 It was my first time going to Busch Gardens and I really liked it. There was so much to do including shows, exhibits, and rides. I’m not a huge roller coaster person but I did manage to ride a few rides with Brett. He LOVES roller coasters and totally nerds out about anything that has to do with them. We finished the day by making dinner for Brett’s grandparents. Brett and I made them steak kabobs (they had never even heard of kabobs, crazy!!). I also made them an ice cream cake which is their favorite thing! Sunday was our last day. We woke up early for homemade French toast before heading to the airport. The last day is always super sad. We had a direct flight back to Michigan and my parents were nice enough to meet us at the airport and then take us to dinner. Our Florida trip was so much fun and I am very glad that I got to spend the week with my boyfriend! He is so sweet! Brett’s grandparents are the nicest people in the world and it makes me sad that we only get to see them once a year! They are both in their 90s and unfortunately are not in the best of health. So it’s really important to us that we make it down every year to see them! I Finally Made a Twitter!